Trolleys are used in a light rail transportation system that is used by many city and county residents on a daily basis. Most trolleys travel at speeds of up to 50 miles per hour on rails stretching across busy city streets and highways. When an operator is not paying attention, or is negligent, intoxicated or under the influence accidents with vehicles or pedestrians can and do happen. If you or a loved one has been involved in a trolley accident, the North Bay accident attorneys at Fiumara & Milligan Law, P.C. can help you obtain justice and financial compensation for your injuries or loss. When bringing a claim against a government entity, there are strict statutory time deadlines and procedures that you must follow. Otherwise, your claim will be forever barred and nobody will be held accountable for your injuries or loss. Normally the injured party has a two year statute of limitations to bring a civil action against the negligent party or parties. So you need to hire a highly skilled, very experienced California Personal Injury lawyer who will achieve the best outcome possible for you. By immediately contacting a North Bay trolley crash attorney at FIUMAR & MILLIGAN LAW, PC, you will secure competent representation and your rights will be protected. The city or any government entity is a formidable opponent and there are strict time limits and procedures to bring a claim against a government entity. Without an experienced Team of Attorneys on your side you will have little chance of preserving your legal right to be able to hold negligent actors responsible and obtain justice. The most common cause of crashes is carelessness on the part of trolley operators. Sometimes the carelessness can rise to gross negligence, for example, where an operator is speeding through the busy downtown streets or speeding to pass a yellow light instead of slowing down and stopping. Trolley drivers and operators must realize that they are not operating a train on tracks outside the city limits. They are operating big, heavy trolley trains, that have the destructive force of a train, and they are operating these heavy machines in the middle of busy streets and intersections where vehicles pass and pedestrians may be walking. Both train and trolley operators must exercise extreme caution while guiding these huge machines (in relation to the pedestrians and vehicles on the street), through busy city streets. If you or a family member has been injured in a trolley crash, you’ll need the help of a trolley accident attorney from Fiumara & Milligan Law, in order to be sure that you can hold the appropriate entities and negligent parties fully accountable and obtain appropriate medical treatment for your injuries. If you have lost a family member as the result of a crash, our trolley crash attorneys will be able to help you obtain financial compensation for the loss of companionship that you are suffering. Loss of income and family support. Mental anguish and loss of companionship. 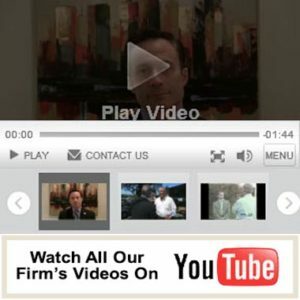 Fiumara & Milligan Law, PC and its team of skilled personal injury attorneys has the experience, connections, and resources to assemble a team of experts and top-notch professionals who will amass the necessary records, documentation, and other vital information to work with accident reconstruction experts and investigators to build a strong and winning case for you and your family. Contact Fiumara & Milligan Law today and speak to our trolley accident attorneys. We are dedicated injury lawyers fighting hard for your legal rights and holding accountable the negligent parties who caused your injuries or loss. Call us now at either of our two convenient locations at 415-492-4507 or 707-571-8600 for a FREE case evaluation.